of the pipe organ is at the crossroads. ANZCO's educational and cultural programs, including All Stops Out!, GALA NextGen Organ Concerts and International Organ Academies, introduce children of all backgrounds to the thrill and wonder of the pipe organ, broadening their horizons and, for many, reaping life-changing benefits. Building the future for the Pipe Organ in Australasia, the Australian and New Zealand College of Organists (ANZCO) Ltd. is a not-for-profit public company limited by guarantee. To support the ANZCO objectives, the College has established and maintains a Public Fund in accordance with Section 30.100 and Section 30.130 of the Income Tax Assessment Act 1997. The purpose of this Public Fund is to support ANZCO's educational and cultural objectives and activities; the Fund receives all gifts donated by members of the public for the educational and cultural purposes of the College. 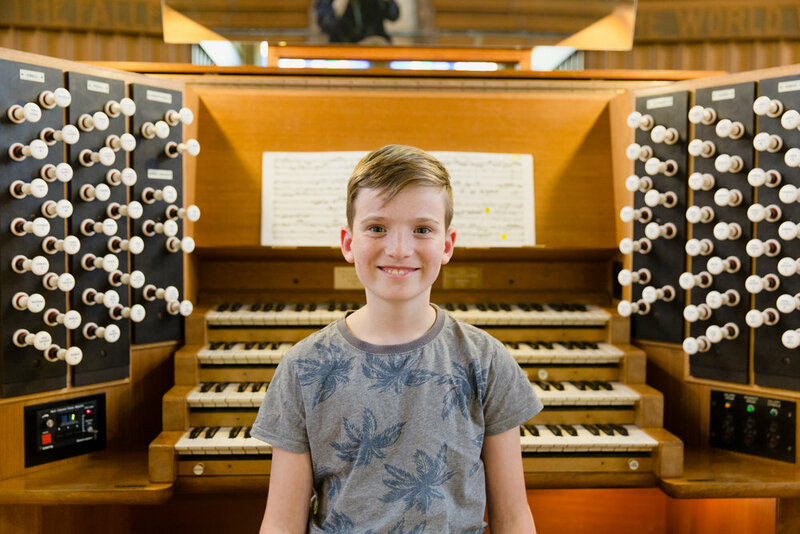 The Public Fund is operated on a not-for-profit basis, as are all ANZCO activities, to build a sustainable community of organists by promoting the teaching and learning of the organ and to facilitate programmes utilising pipe organs as cultural assets for the benefit of the broader community. Interested members of the public are invited to support and make donations, gifts or bequests to further these educational and cultural objectives. Enquiries for further detailed information are warmly welcomed. In Australia, please contact the Manager of Finance: Bruce Allen. To download the ANZCO Australian Appeal Brochure, please click here. In New Zealand, please contact the New Zealand National Director: Michael Stoddart. To download the ANZCO New Zealand Appeal Brochure, please click here. Donations are tax deductible. Thank you for your support.